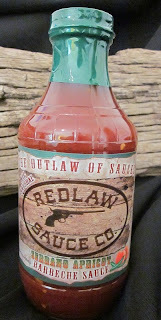 Colorado based Redlaw Sauce Co. was started in 2011 by Justin and Thia Chinchen. Justin used his culinary education and restaurant experience to develop a unique line of hot sauces and BBQ products. 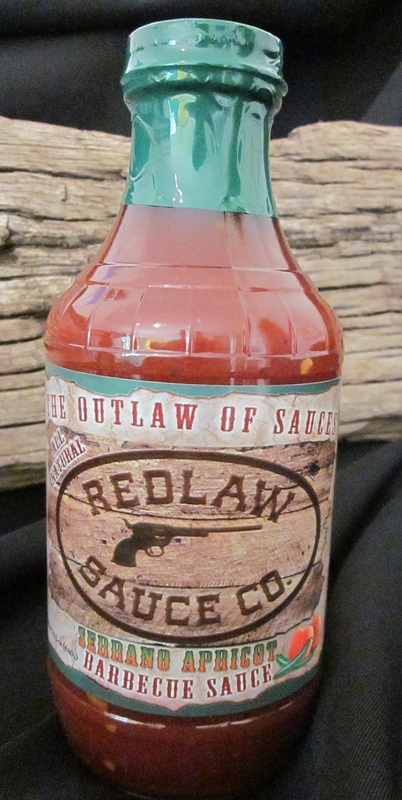 Redlaw's all natural sauces are made in small batches and bottled by hand. The first Redlaw product that I used was the very intriguing Serrano Apricot Barbecue Sauce. Combining sweet fruits with spicy peppers is very trendy in the world of small batch BBQ sauces. The sweet and spicy elements play well off one another and allow for a great deal of creativity for passionate sauce makers. What sets this sauce apart is the choice of pepper. Serranos are one of my favorite peppers. These petite firecrackers are a step up in heat from the common jalapeno. However, they're a bit more tame than the scorching habanero. For whatever reason, they seem to be the forgotten pepper in the world of BBQ. 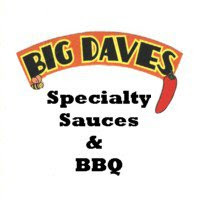 There are countless sauces featuring jalapenos, habaneros and even ghost peppers. However, I rarely encounter serrano sauces. Redlaw's Serrano Apricot Barbecue Sauce is dark red and packaged in 16 oz. glass bottles. Pepper seeds and dark spices are visible in the sauce. With a medium thickness, it pours smoothly from the bottle. The sauces flavors are remarkably complex and well balanced. The initial sweetness from sugar and the apricots is immediately contrasted by savory spices like onion and garlic. There is also a significant note of hickory smoke. The heat comes on strong at the back end. The spice isn't overpowering, but it's enough to make you sweat. I used Serrano Apricot on a couple racks of smoked babybacks. The sweet and spicy sauce was phenomenal on the smoked pork. This sauce was clearly meant for ribs. It brushed on beautifully and produced one of the prettiest racks of ribs I've ever made (sorry no pictures). I enjoy a bit of sweat bead inducing heat when eating ribs and this sauce produced exactly what I was looking for. Apricot Serrano is one of the best hot BBQ sauces I've had. It's ideal for rib lovers that can take a little heat. I'm happy to see someone using the serrano. I'm even more happy that they use it so well. After enjoying this sauce so much, I can't wait to test out the rest of the Redlaw line. 1 Response to "RedLaw Serrano Apricot Barbecue Sauce"